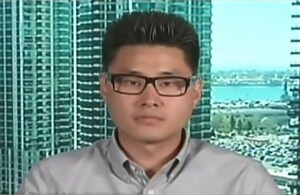 Senate Judiciary Committee Chairman U.S. Sen. Chuck Grassley (R-IA) is continuing to press the Drug Enforcement Administration to answer questions about the agency’s detainment of Daniel Chong, a University of California-San Diego college student in 2012 who was left without food or water for five days. Grassley initially began asking questions about the matter nearly three years ago, and sent a letter posing a detailed series of questions after the Department of Justice’s Office of Inspector General completed its investigation in July 2014. “Three years later, there are far too many questions left unanswered. It’s unacceptable for the DEA to keep the public in the dark on such inexcusable behavior by the agents and supervisors. It’s time the public knows whether anyone has been held accountable,” Grassley said. Grassley began asking questions shortly after news reports surfaced that Daniel Chong was found without food or water in a DEA detention cell five days after he was arrested. Grassley’s first letter was sent on May 4, 2012, and a second letter was sent on August 27, 2014. He also gave a floor statement following the release of an Inspector General’s report on the detention. Grassley’s latest letter can be found here.